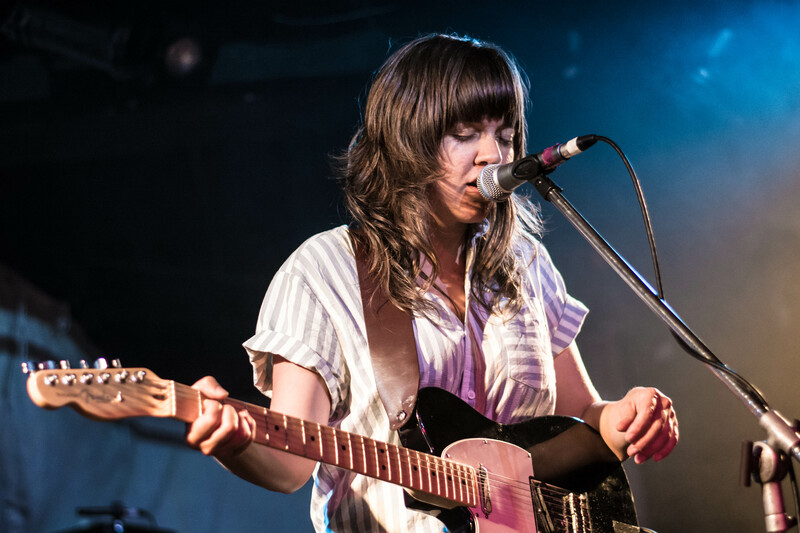 Courtney Barnett hails from Melbourne, Australia and is starting to make a splash here in the US. Her debut album, Sometimes I Sit and Think, Sometimes I Just Sit, was released in late March to a slew of critical acclaim as well as lending an assist to Barnett’s nomination for Best New Artist at the 58th Grammy Awards. Barnett’s vocal sound is very similar to that of Bethany Cosentino, lead singer for the band Best Coast; however, Barnett’s style sources the best parts of groups including the Yeah Yeah Yeahs, Tegan and Sara, Mates of State, and Metric. Reminding the listener of the aforementioned bands but without the heavy amount of production – which can at times be overbearing. Adjectives like grunge and garage are tossed around often when describing Courtney Barnett’s sound. “Nobody Really Cares If You Don’t Go to the Party” was performed live by Courtney Barnett on Saturday Night Live’s 41st season finale. It is one of many great tracks by Courtney Barnett with a strong electric guitar backing, harmonized vocals in the chorus, and an addicting repetitive rhythm throughout. Relatable lyrics like – ” I wanna go out but I wanna stay home” – remind us all of those weekend nights feeling conflicted about sampling the local nightlife vs. watching Netflix on the couch. We’re very excited about this song and what Courtney Barnett will have to offer going forward. Some other notable tracks include, “Pedestrian at Best” and “Avant Gardener”. Enjoy!